Scooper - Health News: How can supermarkets be expected to see inside every banana? 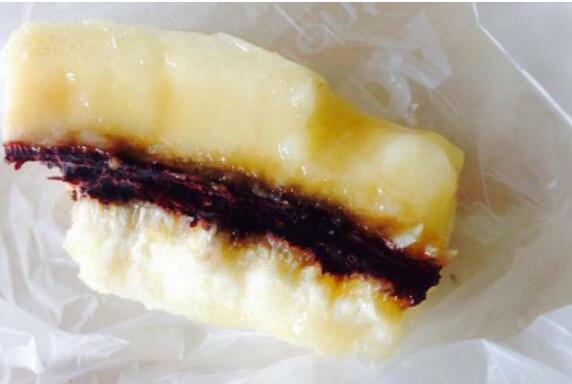 How can supermarkets be expected to see inside every banana? 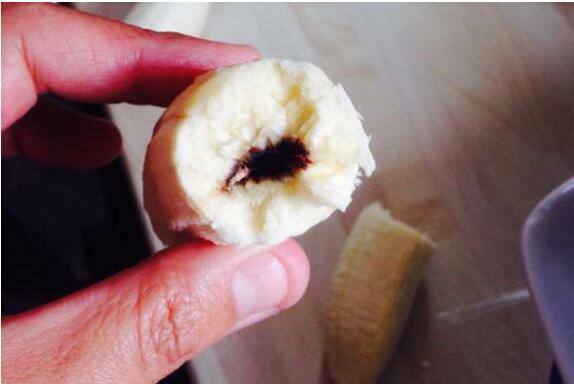 A banana from Morrisons supermarket in the U.K. sent one child to hospital. According to the Boston Standard, Lissa Melin's 8-year-old daughter, Dionne, was feeling perfectly fine before she took a bite out of the banana. The child quickly fell ill after eating it. A thoroughly bewildered and alarmed Lissa sprang into action. Suspicious of the banana, the mother took a look and sure enough, she found something that wasn't quite right. Red streaks lined the center of the cut-up pieces, and a brief Google search confirmed her fears. It turned out the banana contained the fungus Nigrospora in its core. Terrified, she quickly rushed her daughter to hospital. Luckily, the fungus doesn't cause any lasting harm -- and any discomfort may be psychosomatic -- in the child's head. The child was discharged and fully recovered from the incident. "Another friend said she also found one of these not long ago from Morrisons," she said. "Maybe Morrisons need to do some more vigorous checking so children -- or anyone for this matter -- doesn’t eat one again." Lissa and her friends are not the only ones to have stumbled upon a banana with a red center. "As I unpeeled the skin of my favorite fruit, I was slightly concerned about red veins that seemed to be running throughout," recalls Liverpool Echo writer Gemma Jaleel about a banana she bought from Lidl, a European discount supermarket chain. "It was like nothing I'd ever seen before and very cautiously I decided to back away from the banana." Morrisons and Lidl have since responded to concerns over the red fruits. "We are sorry for Mrs. Melin’s daughter’s distress," said a Morrisons representative. "This product did not meet our strict quality standards. However, we would like to assure her that it is a naturally occurring mold which is not harmful to humans." Despite the reassurances, some are still worried. "Please could banana growers increase the quantities of fungicide they use, so a tragedy like this can never happen again?" wrote one Boston Standard reader, who may have intended to be sarcastic. Others responded, seemingly underwhelmed by the news. "So basically it's as harmful as the [mold] that grows on cheese," commented another. "This is not news." Some chided Lissa for urging supermarkets to be more careful. "How can the supermarket be expected to see inside every banana," wondered one commenter. "Maybe they should start peeling them and slicing them up for those that expect someone else to be responsible for everything in their life!"